Radisys 97-9025-02 CH815C-2L | CH2L01-0-0 | 97-9025-02 97-9525-23 Motherboard . 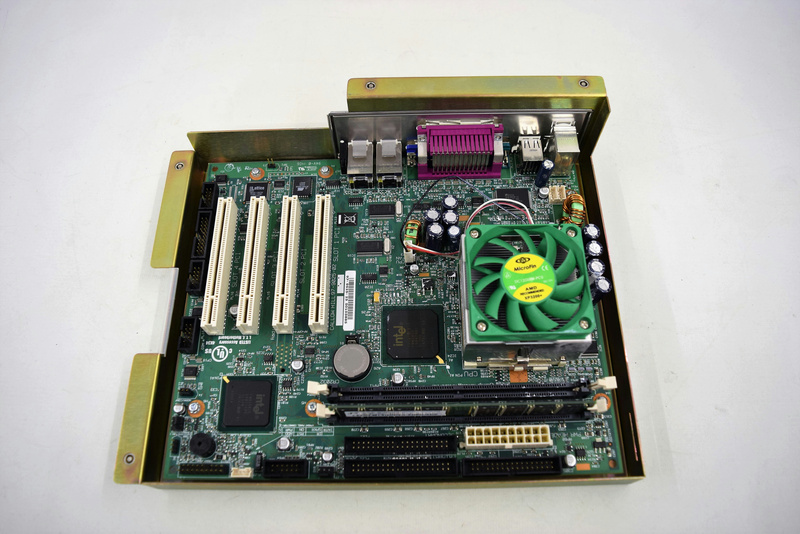 New Life Scientific, Inc.
Motherboard with 1266MHz Pentium III processor, Heatsink/Fan assembly and 256MB Ram. Various port modules connected to the motherboard as shown. A photo of the bios screen shot is also shown. Our on-site New Life Scientific technicians visually inspected and removed this from a working environment and tested. The monitor's screenshot provide demonstrates the BIOS setup screen. Please note this advertisement includes a Radisys motherboard and a hard drive, floppy drive, power supply, keyboard, monitor, and/or cables are not provided.